Since the start of astronomical spring, the highest temperature in Greater Moncton has been 9.1 C and overnight lows have dropped to a near record low of -8.8 C.
So many are asking when is it ever going to warm up in New Brunswick? The Maritimes has recently found itself on the north side of the prevailing jet stream which has allowed cold, Arctic air to sink south. Environment Canada says the temperature should finally climb to at least 10 C by Friday. Keep in mind, the first 20 C reading of the season was 12 April in 2017 while it was 21 April in 2016. 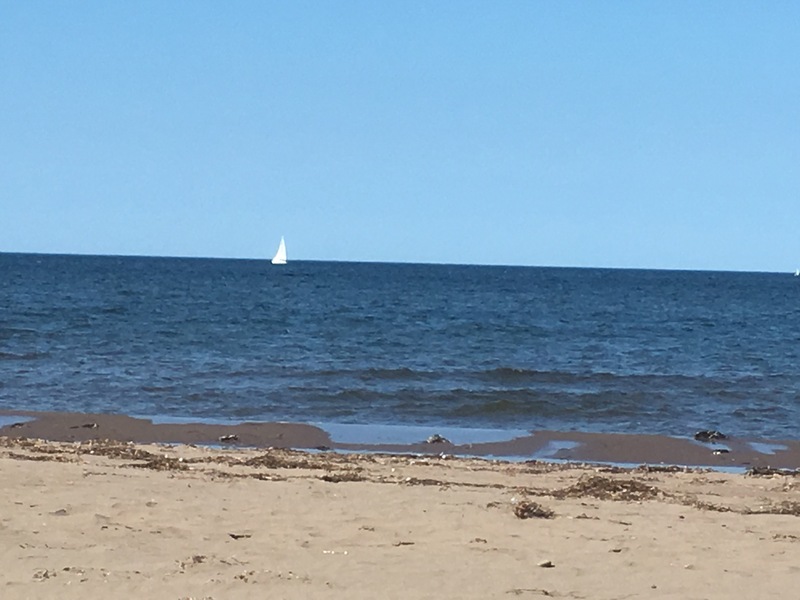 This may have been the first weekend of autumn in Southeast New Brunswick but it felt more like the first weekend of summer instead. Greater Moncton climbed to 27.7 C yesterday (23 September) while today (24 September) it hit 27.9 C and the normal high for late September is 17 C.
High pressure and a northerly jet stream has pushed heat across Eastern Canada with highs in the low 30s C in many parts of Ontario and Southern Quebec. A heat warning was in place as Toronto Pearson Airport reached a record-breaking 33.1 C yesterday and 33.6 C today. While it has been dry this summer in parts of New Brunswick, no where has it been drier in the Maritimes than in southwest Nova Scotia. Meteorologists say while the jet stream normally flows through the middle of the region providing adequate amounts of rain, it was pushed farther north this summer due to the Bermuda High which has been northwest of its usual position. 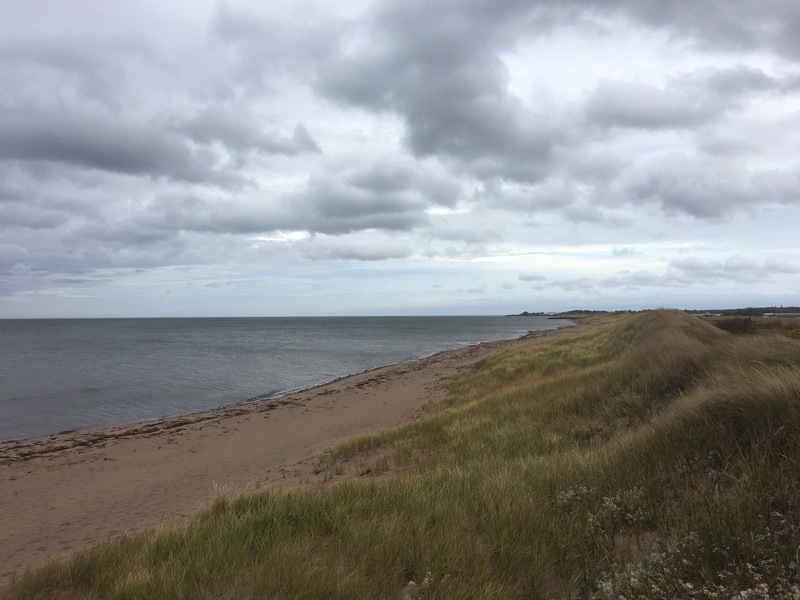 As a result, rainfall in northern New Brunswick has been above average while southwest Nova Scotia has only received 32 percent of its normal summer precipitation. For example, Yarmouth had 87 mm of rain during June, July and August which is well below the average of 268 mm. Emergency management officials say at least 1,000 households have run out of water and bottled water donations from major retailers are being shipped to affected communities. Snow! No! Not at the end of April! After receiving less than half a centimetre of snow this April in Greater Moncton, a dusting of snow fell just two days before month end. Temperatures have been chilly this week in New Brunswick with a few record lows broken – Moncton was close at -5.5 C on 26 April. The jet stream has taken a southern dip over Eastern Canada allowing cold Arctic air to sink south. But forecasters say more seasonal weather is coming as we begin the month of May. Weather records go back to 1881 in New Brunswick and Environment Canada is confirming December 2015 was the warmest ever! Greater Moncton was 4.4 C above normal, Fredericton was 4.9 C above normal and Saint John was 5.1 C above normal. The weather office says even 1 C above average is considered significant but 4 to 5 C is almost unheard of and in this case record-breaking. Forecasters say possible factors were a strong El Nino and a jet stream which consistently veered north of New Brunswick last month allowing for a southwesterly air flow. Despite the warmth across the province, snowfall totals were actually higher than normal including in Greater Moncton at 96.4 cm (average is 62 cm). The heat is on in New Brunswick! It’s now mid-August and I was starting to give up hope we would have a heat wave this summer in New Brunswick. But low and behold, a Bermuda High and a favourable jet stream pushed the temperature in Greater Moncton to 31.8 Celsius today – the warmest so far in 2015. The hotspots in the province today were at Bathurst, Fredericton and Kouchibouguac which all reached 33 C.
The heat continues for the next few days in the region. Environment Canada officially defines a heat wave as three consecutive days with daytime highs of 32 C or higher.